Why Do Humans Need Stories? Fiction as Life-Simulation. That means there is a reason for us to tell stories: They help us survive. And that’s where the flight-simulator comes in. 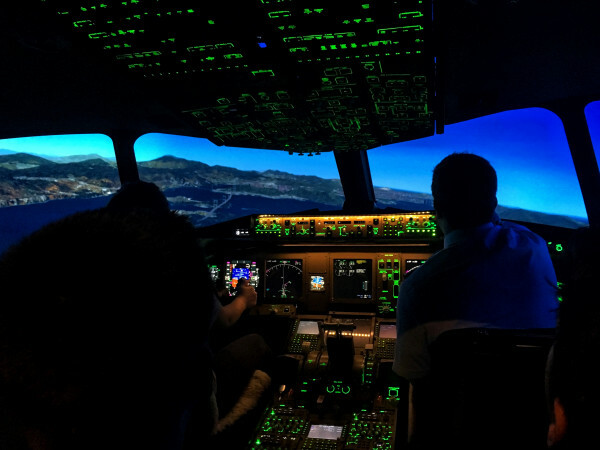 Pilots sit in flight simulators for many many hours, practicing and practicing until flying jumbo jets becomes second nature. Only when they don’t have to consciously think about what to do, but have done it so often already they do it “automatically”, are pilots allowed to actually fly a plane with real live passengers in it. Since our brain “does” the stories we consume, we have “done” all sorts of things already, even though we have never done them in the flesh. We have been practicing from the first bedside story to the latest instalment of our favourite series. What have we been practicing? Humans live in groups because there is more safety in numbers than as a solitary little homo, however sapient. When a group of homo sapiens get together, three things happen: 1) some of them become allies, 2) some of them compete, 3) some of them mate. And that’s essentially what happens in the group of characters in a story. The characters make friends, they squabble over something they want, they get together romantically. Both competing and getting a mate involves problems. Keeping and maintaining an ally can too. There are potentially infinite problems involved with living in a group. And that’s not even to consider all the potential threats and problems that come from outside the group. The idea that stories are like flight-simulators suggests that fiction exists to allow us to practice problem-solving in a safe environment. We can “live” through conflicts of interest without dire real-life consequences. That the stories may not be “realistic” is not relevant, since the emotions we feel while consuming them are genuine, at least as far as our brain patterns are concerned. Thus when we encounter real-life problems, we automatically do what we have learnt in our life-simulator that is story. Hence stories are not merely entertainment. They have helped us survive as a species by helping us as individuals to deal with conflicts of interest. For stories to work as life-simulators, they must be constructed within a certain very broad framework. Which is to say, they must feature conflicting interests – which boils down to characters solving their problems. Problems come from without and from within, they result in wants and needs, i.e. the want and need to overcome the problems. There is a whole host of things that typically go on in the stories we like and care about. We examine them in detail in this blog.